European policymakers have created an unfair playing field through open banking reforms, says Simon Lelieveldt, whose background gives him a unique perspective on payments regulation. 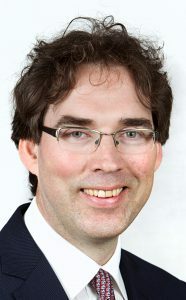 Lelieveldt has worked in the private sector, as a central banker, and as an advisor to the European Union (EU) on bank customer retention and account switching. He now works as regulatory consultant on payments, banking and fintech. New Money Review asked Lelieveldt how payment regulation has evolved, where it may be heading and where gaps remain in the supervisory regime. New Money Review: Simon, how far are we from a unified payments technology and a unified regime for payments regulation? Lelieveldt: Historically, payments regulations have evolved along different paths for each national market and there are lots of local flavours. Perhaps the biggest question in payments is whether we will converge towards a single global payments technology or retain some of those flavours. I think the answer can be a bit of both: back-office processes can be automated and standardised through technology, while feature design at the front end can be adapted to the local environment. Local rules are often highly specific, reflecting national anti-money-laundering regimes and covering things like the role of cash and the requirements for privacy. New Money Review: What areas of public interest do payments regulators seek to protect? Lelieveldt: Different regulators target different public goals, such as the safety of the payments system or competition in the payments sector. You have to integrate different views and sometimes they do not match. Why should banks provide access to their data for free? For example, the EU’s Payment Services Directives (PSD1, PSD2) have told banks to open their payments infrastructure to third parties, who can then develop separate payments and information services. The competition argument for opening up banking services is not new. It’s similar to moves made in the past in the telecoms and utility sectors, for example. But what’s unusual in payments is that, unlike telecoms and utilities, there’s no compensatory fee mechanism in place. Why should banks provide access to their data for free? New Money Review: How and why did this happen? Lelieveldt: The European Commission (EC) was faced with a conflict between the new players and the old players in the payments business. Rather than letting this conflict play out in the competition courts, the EU directorate responsible for payments got the upper hand in the internal EC discussions. It intervened to open up the payments systems to everyone via the Payment Services Directives. Effectively, they sided with one of the plaintiffs in a lawsuit. That plaintiff had complained to the EC about having to pay for access to customers’ bank accounts. [After receiving a complaint from Sofort AG, in 2011 the European Commission opened an antitrust investigation into the work on e-payments being carried out by the European Payments Council (EPC). The EPC is the coordinating body of the European banking industry in relation to payments. The Commission said it had concerns that the EPC could exclude non-banks from the e-payments market. However, during the course of the investigation the EPC announced its decision to stop its work on the new standards. As a result, in 2013 Sofort AG withdrew its complaint and the European Commission closed its investigation—New Money Review comment]. New Money Review: Are you suggesting that the tech giants will make their already strong competitive position almost impregnable? Lelieveldt: That could well be the effect. Big tech firms don’t even need to step into the banking space as they can already milk customers’ data. In fact the tech giants may not even need access to payment data to know a great deal about your financial habits. If you have a confirmation in your Gmail account for buying an air ticket, you may get a notification from Google to make sure you’re on time in the airport, since they read your email traffic. That’s already standard practice. New Money Review: Will anything change at the EU level? Lelieveldt: In my view, it doesn’t make sense from a competition perspective to give outside tech firms a free pass to bank account information. The Dutch competition authority, which has already identified this issue as a potential problem, could table it with the EU for discussion. But given the current positive sentiments on PSD2 and open banking, it’s not certain this will get anywhere. I would point out that the EU has been willing to apply competition law in a similar area. It’s just fined Mastercard nearly €600m for anti-competitive behaviour, specifically for having prevented European retailers from using cheaper banking services outside their home countries. If you’re so keen on competition, you should create a level playing field, even if that means creating a kind of interchange fee for banks. It’s not politically popular to support banks in this day and age. I’d say you should forget whether it’s a bank or a fintech, you should just look at the logic and apply fairness. [Interchange fees are the fees charged by credit or debit card providers for processing payments, currently capped by EU regulators at 0.2% per transaction for debit cards and 0.3% for credit cards—New Money Review comment]. We have an angle to make the Googles and Facebooks of this world pay for access to payments information. Instead, we’re giving it to them for free. New Money Review: After massive excitement regarding cryptocurrencies in 2017, we’ve entered a savage bear market. Is there a potential future role for cryptocurrencies in the global payments system? Lelieveldt: There are inclusion and insurance arguments for the greater use of cryptocurrencies. If a state is illegitimate, steals from its citizens or devalues its own currency, people want to use alternative currencies that are more trustworthy. Having a mechanism to convert quickly what you have into a digital good that can be exchanged elsewhere in the world is a very relevant application of cryptocurrencies. It protects legitimate civil interests against abusive governments. I hope that the future global regulation of virtual currencies will be sensible enough to continue to allow this use case. New Money Review: What other applications can you see? Lelieveldt: When it comes to payments, I don’t believe any cryptocurrency can work faster or better than the banking systems that have evolved over time. The instant payment mechanisms that are now being deployed around Europe and elsewhere work very well indeed. But there is a legitimate and interesting use of cryptocurrencies and digital assets in token-based accounting systems. Everything we used to do mentally or by physical vouchers can now be done on a blockchain. You can tokenise everything. But regulators now face a very tricky choice in defining things, one that’s similar to choices they had to make two decades ago when the e-payment market was developing. They say they want to protect the consumer’s interests. But if they make the definitions of cryptoassets and digital assets too wide, they may hinder the development of the tokenised asset market.